Nearly two hundred years ago, Luis Castro sat atop a huge wooden cross on Vigia Hill high above the growing city of Ponce. On the lookout for ocean vessels, it was his responsibility to determine the nationality of approaching ships. If he recognized the vessel he would raise a flag, if a ship was thought to be carrying contraband then no flag was raised and the Spanish military would investigate. In 1984, in honor of Mr. Castro and all the other watchmen, a 100-foot cross with arms measuring 70 feet, was constructed atop the 300-foot high hill overlooking the still growing city of Ponce. Today visitors can take the elevator to the top of the Cross of the Vigia for an impressive view of Ponce and the surrounding area. Ponce, truly the "Pearl of the South," with a population of 300,000, is Puerto Rico's second largest city. 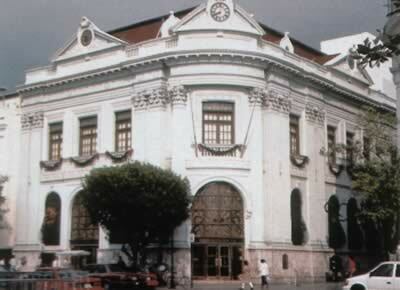 Founded in 1692 by Ponce de Leon's great-grandson, much of the city's colonial heritage has been beautifully preserved. 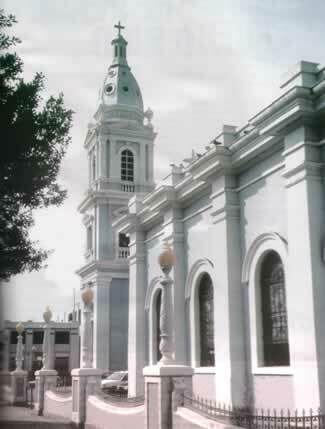 Only one and a half hours from San Juan, the pace of life is slower and more graceful in Ponce. Poncenos' favorite pastime is sitting in the park or strolling the boardwalk. In the center of the city, the tree shaded Central Park is divided by the Cathedral of Our Lady of Guadeloupe which was built in 1919. Every night the Lion Fountain, just one of the many fountains in the city, comes alive with a spectacular display of colored sprays of water. Sunday nights the park is filled with the sounds of the municipal band. Behind the cathedral is a building that visitors will not soon forget, the Parque de Bombas was restored and opened to the public in 1990. 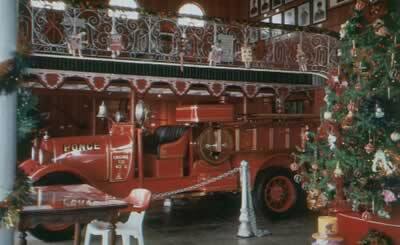 The fanciful century old wooded firehouse is one of the oldest on American soil. Built in 1883 for an agriculture exposition fair, the unique red and black stripped building is one of the most photographed buildings on the island. The park is ringed with beautifully restored colonial buildings. Parts of the city are reminiscent of a Spanish town on the Mediterranean. Strolling the streets is the best way to soak up the ambiance and to view the architecture. Many of the handsome colonial mansions have traditional rejas or framed balconies. 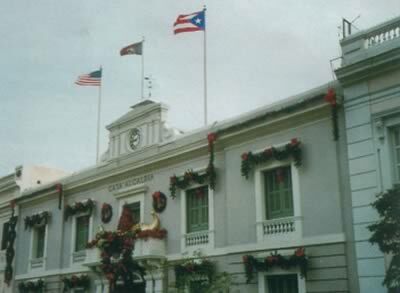 Casa Alcaldia, the city hall, the oldest existing colonial building in the city was built between 1724 and 1849. It is crowned with a massive clock that was acquired in London and installed in 1877 as part of the celebration commemoration Ponce's designation as a city. Two life-size female figures grace the entrance of Casa Armstrong Poventud; a residence built around the turn of the century, it now houses the Institute of Puerto Rico & Tourism Company. 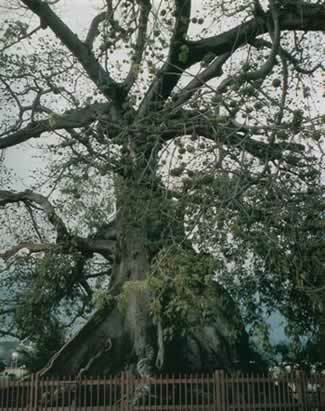 A free guided tour of the city, in an air-conditioned trolley leaves hourly from the Central Park, passes all the major tourist attractions, and makes a stop at the 800-year old ceiba tree where for years the Taino Indians gathered for ceremonies. The world-class Museum of Art, designed by Edward Durrell Stone, who also designed New York's Museum of Modern Art is called the "Parthenon of the Caribbean." It houses more than 1,000 paintings and 800 sculptures and includes the finest collection of European works in the Caribbean. The Museum, donated by former governor, Luis A. Ferre, represents the principal schools of American and European art plus many important Puerto Rican pieces. The newest of the many parks is Tricentennial Park, inaugurated in 1992; it commemorates the city's 300th anniversary. The entrance of the park is guarded by two massive pillars each topped by a lion - one the symbol of knowledge, the other the symbol of power. On the hill above the city, near Le Cruz del Vigia, is Serralles Castle Museum. Built in the 1930's in Spanish revival style that was popular at the time, it exhibits variety of Spanish and Moorish embellishments. The estate is typical of the elegant "boom" era when rum and sugar cane were "king." La Guancha Paseo Tablado, the ocean-side boardwalk, is a lively area where Poncenos meet and relax. Beside a marina, there are stage facilities for cultural and artistic events plus many food stands where typical Puerto Rican foods and the famous pina colada are served. A 50-foot tower affords a view of the city and nearby cays. A few miles from Ponce, the Tides Indian Ceremonial Center includes a recreated Taino Village complete with thatched roof bamboo huts. The Taino are the oldest known inhabitants of the region. The ancient Indian site includes seven bateyes (ball fields), some carved with petroglyphs, said to have been used for a soccer-like game. On one of the two dance grounds, stones line up with the sun during the equinox and solstice, suggesting that Tibes may have been a pre-Columbian astronomical observatory. Nearly two hundred skeletons have been uncovered, some dating as early as A.D. 300, making the site the oldest burial grounds uncovered in the Antilles. On Route 10 from Ponce to Adjuntas a coffee plantation, Hacienda Buena Vista, built in 1833, has been restored to the original condition with the help of the Smithsonian Institute. Here you will find a two-story estate house with the original waterwheels and other farm machinery in action. It is worth mentioning that the serpentine Route 10 is not for the fainthearted. The road twists and turns through the mountains but the drive besides being challenging, is very scenic - bamboo thickets and flame tress line the road. 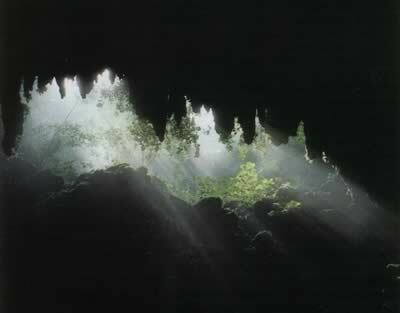 A visit to the Camuy Caves and Arecibo Observatory makes for a worthwhile day trip from Ponce. 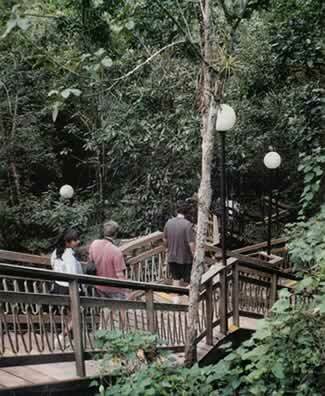 The attractive Camuy Cave Park has sink holes and million-year-old Clara Cave in an attractive park setting. Not far away, Areceibo Observatory, the world's largest radio telescope, is listening for sound from deep space. Visitors may recognize the Observatory as the site of several exciting scenes in the newest James Bond movie. On a moonless night, Phosphorescent Bay near La Parguera, is one of the few places in the world were the luminescent plankton, dinoflagellates, glow like blue fire in the dark waters. The waters around Ponce offer a variety leisure activities including sailing, snorkeling and day trips to the island nature reserve of Caja de Muertos. Puerto Rico may be America's best kept secret. Blessed with wonderful weather all year and a wide variety of attractions, the friendly people of Puerto Rico are justly proud of their island. A land of variety - mountains, lakes, rivers, rain forest, beaches and islands- it is truly a continent in miniature. All the ingredients for a vacation featuring sun, sand and sea are present in abundance. Add a little spice to your vacation in the form of history, nature, science, and sports; you will find it all within easy reach from Ponce on the Enchanted Island of Puerto Rico.